The wedding season has started and preparations within families having one are on with full swing. Often, amidst all the planning, there are still many things that are missed out. Decorations, music, venue, catering, gifts, are just among the few things that need months of planning. Fast-paced lives often leave us with little or no time and hence, more and more people have been resorting to hiring professional wedding planners to have a perfect event. Wedding planners are not new and now a host of startups have also entered the segment to make weddings more fun than tiring. Techcircle lists a few of them that help plan the D-day and make it perfect for families, friends and of course the bride and groom. Wedwise- Founded by Ginny Kohli in 2015, this Delhi-based startup helps customers to post requests to get vendors. The website also lets users to get reviews and recommendations by other users in the invite-only community. Run by Wedwise Consultants Private Limited, the platform also lists venues available across cities and enables them to connect with service providers. It also provides a list of caterers, decorators, photographers, widening the options for its clients. The website also runs an active lifestyle blog giving ideas for photography, make-up, etc. The Wedding Brigade- This Mumbai-based startup, owned by Sitara Digital Ventures Private Limited, lets users plan and shop for their weddings. This marketplace has a host of stylists to choose from. From footwear, bags to jewelry and customised saris, one can be spoilt for choices here. Apart from selling wedding-related goods, it also gives ideas for sangeet-songs, photo-shoots destinations, etc. It was founded by Sannah Vohra in 2014. WedAbout- Run by WedAbout Wedding Services Private Limited, this app-based startup offers a wide array of services with curated vendor suggestions for entertainment, logistics, photography, dÃ©cor, cocktail and bachelor parties, luxury car rentals, etc. An expert blog section also gives latest wedding ideas. If a user likes a vendor, they can simply ask for quotes by clicking on 'Request Quote' option. If confused about which vendor to book, users can 'Post Requirement' and get responses with quotes. The app is available on Android as well as iOS. The startup was founded by Bhraman Rattan and Suraj Dubey in June 2015. 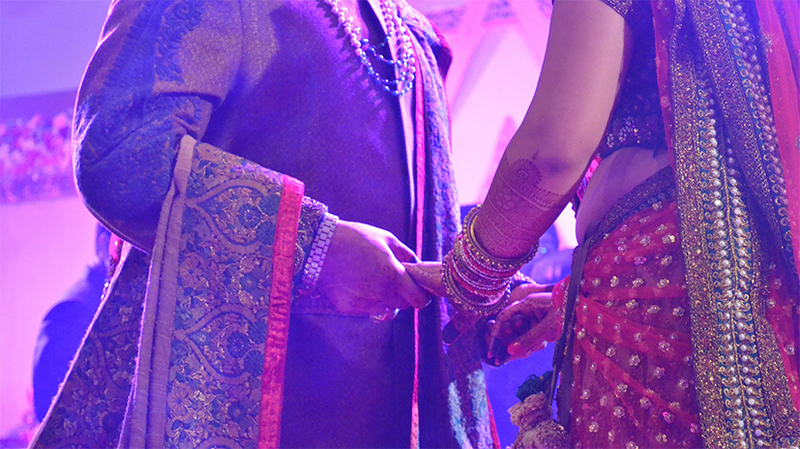 Bandbaajaa.com â€“ Media firm NDTV Group's Venture, which was founded by Sachin Singhal last year, is a platform which offers wedding services that includes connecting users to mehendi artists, invitations, dÃ©cor, wedding planners, etc. One can shop bridal-wear and other products from a wide variety of options. It has designers like Neeta Lulla, Anju Modi, Neha Mehta, etc. on board for exclusive designer outfits. It can assist a user in creating a personalised check-list for all the wedding tasks, and help them in deciding the venues, make-up artists, photographers, caterers and wedding dÃ©cor. WedMeGood- This Gurgaon-based startup, run by Anameha Infomedia Pvt. Ltd, helps users connect with different vendors for 18 different categories such as venue, photography, videography, DJ, choreographers, etc. across different cities. It has a vast library with pictures that give ideas to plan the big day. It has a feature called "Collaborate" through which one can share and discuss ideas with ones dear ones and make group decisions. It also comes with an organised checklist to help keep track of the to-do lists. It also has an integrated blog where one can read about the trending looks for bride and groom and interesting ways to celebrate the memorable day. This startup was founded by husband-wife duo Anand Shahani and Mehak Shahani in February 2014. WedMeGood app is available on Android and iOS for free.